CEGEP Vieux-Montreal is the only CEGEP so far to have voted to continue the strike without conditions. Photo Brian Lapuz. Update: CEGEP du Vieux-Montreal voted around 10:30 p.m. Monday to continue the strike after a recount of votes due to an extremely small margin. The final count was 878 in favor of continuing the strike, and 861 against. This vote makes Vieux-Montreal the first CEGEP to officially reinstate the strike without conditions. 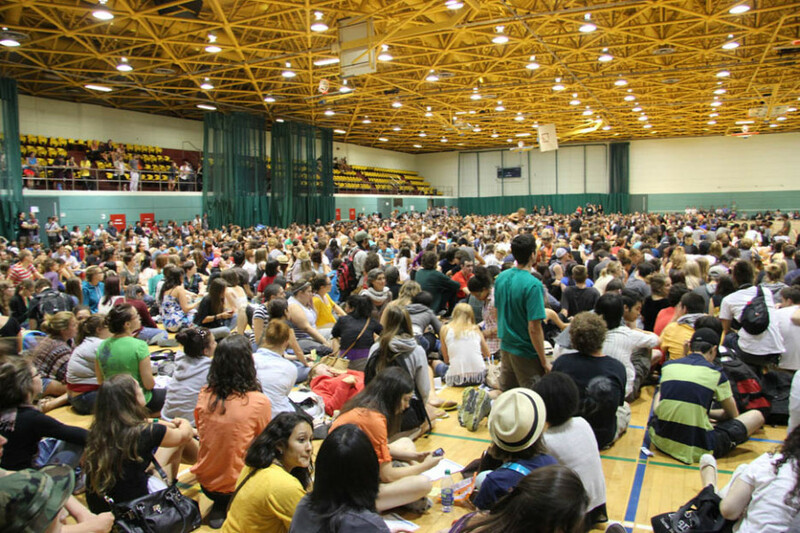 The student movement suffered a serious blow on August 13 as three consecutive CEGEPs voted to either end or suspend the months-long strike. In total, six out of 14 CEGEPs in Montreal have voted against the strike, which was proposed to continue in protest of tuition increases. At CEGEP Edouard-Montpetit, approximately 90 per cent of students voted down the strike, while at CEGEP Marie-Victorin and CEGEP Maisonneuve 64 and 63 per cent of students voted against the strike, respectively. They join several other CEGEPs that have already voted down the strike, including CEGEP André-Laurendeau, Valleyfield and Saint-Jerome. “We’re going to respect the back-to-class votes that happened in the different student associations,” said Camille Robert, co-spokesperson for the Coalition large de l’Association pour une solidarité syndicale étudiante. These votes fall on the heels of a recent rally held by CLASSE where members bid farewell to former spokesperson Gabriel Nadeau-Dubois while ringing in what they hope to be a new chapter of the student movement. CEGEP Saint-Laurent is the only college to vote to uphold their strike, on the condition that 20,000 students across Quebec vote to join them in the streets. CEGEP Montmorency and CEGEP Lionel-Groulx are set to hold general assemblies on August 14, with several others to vote by the end of the week.